It’s time to jump into the second month of 2019! 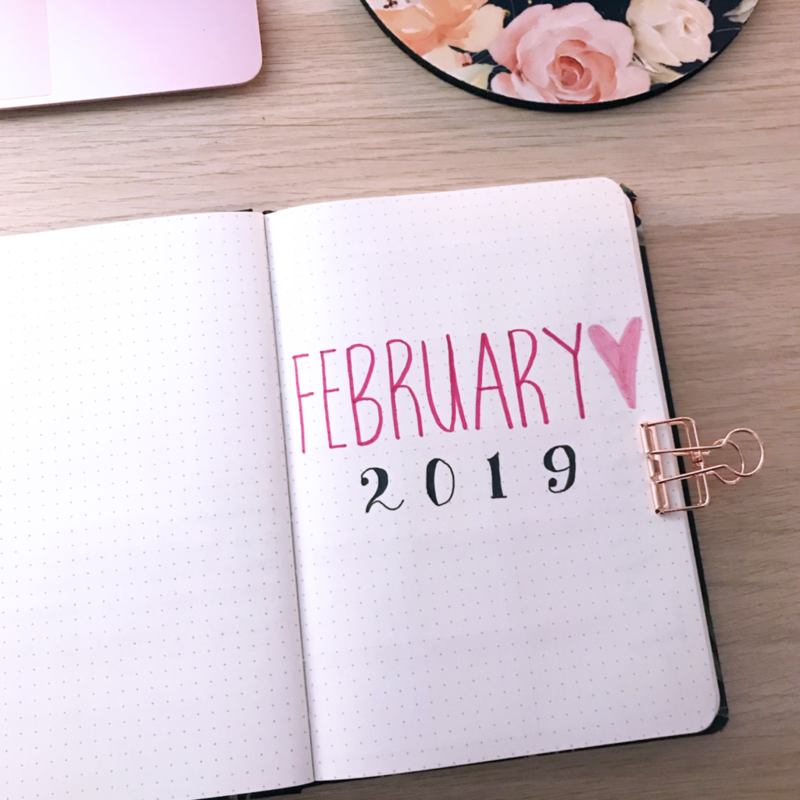 I’m excited to share my February bullet journal setup, this is the first time I’ve really gone for a ~valentines~ type theme. 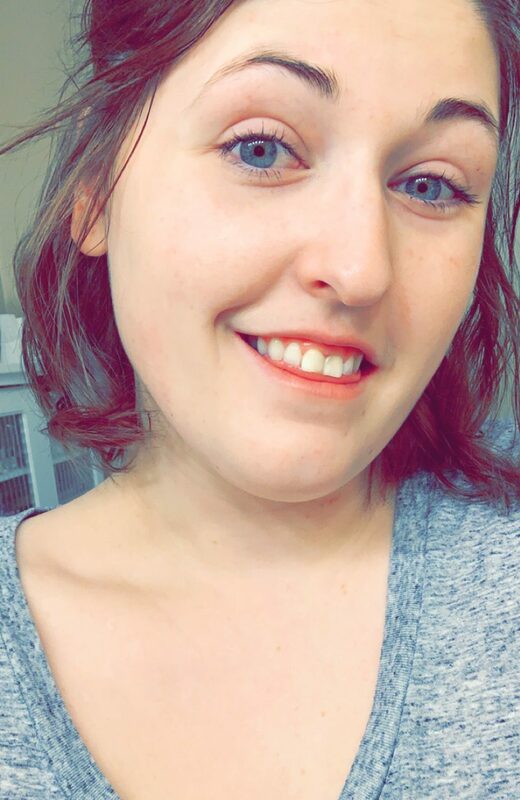 I wouldn’t say it’s all hearts or anything, but I definitely used more pink than I normally do! I also feature some adorable dog washi tape – keep your eyes open for it! Personally, I find having a simple monthly cover page to be a nice clean transition to a new month. This month I, of course, threw in a heart for valentines day, and I’m loving the lettering for 2019 that I chose! 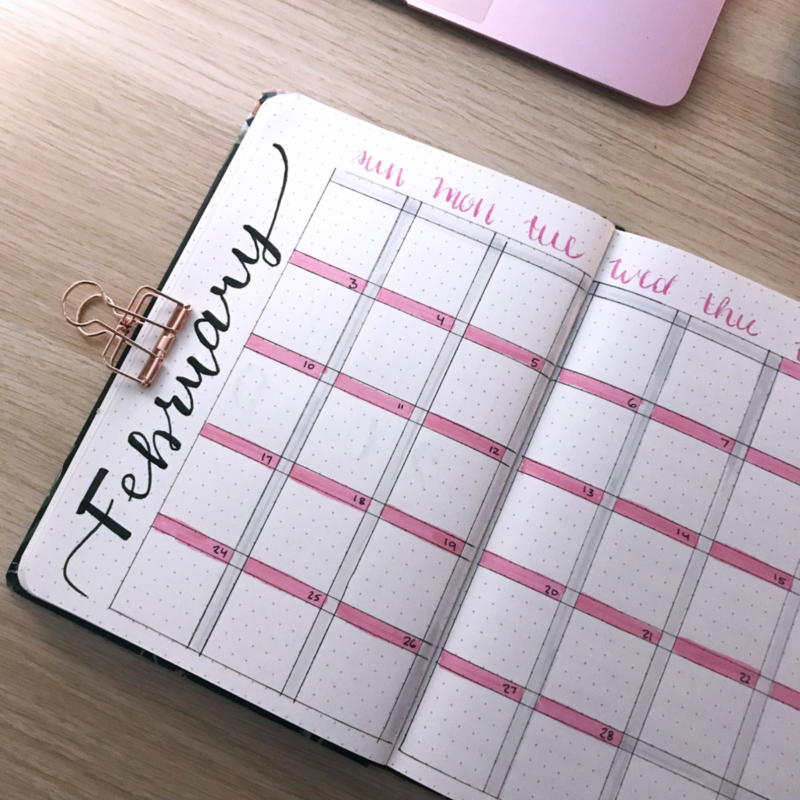 My January calendar worked so well for me last month – and I loved the look of it – that I kept it the same for February! I switched up the colours to match my February colours but other than that it’s all the same. I haven’t included any habit/mood trackers with my journal so far for 2019, as I found that last year they didn’t have a whole lot of value for me. 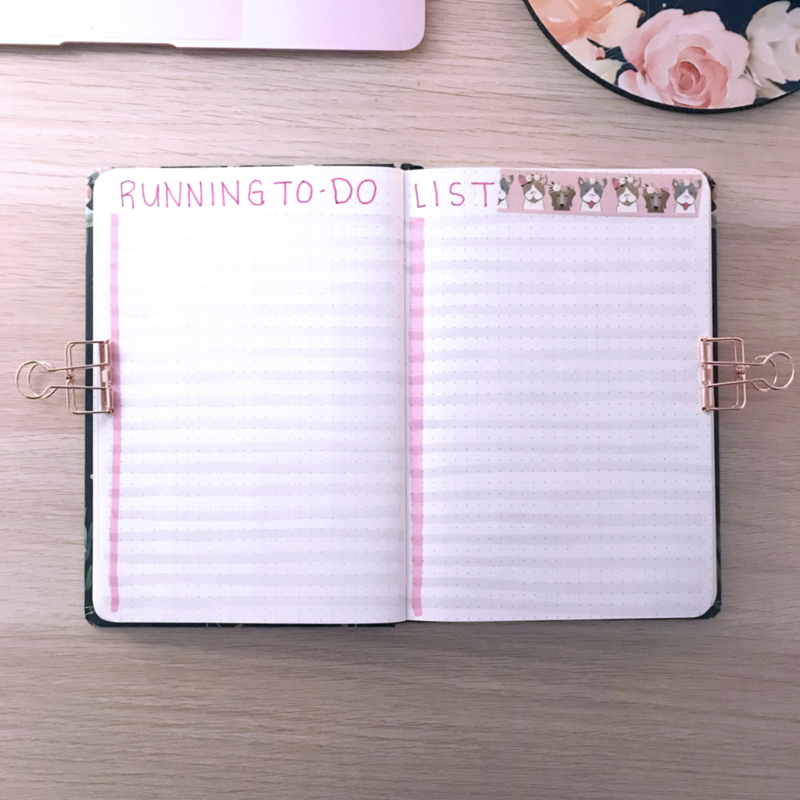 This year however I am using a running to do list, as so many of my tasks are things I want to get done but don’t have a specific date they need to be completed by. This is a great way to keep all my tasks in front of me without having to flip through all my weekly pages! 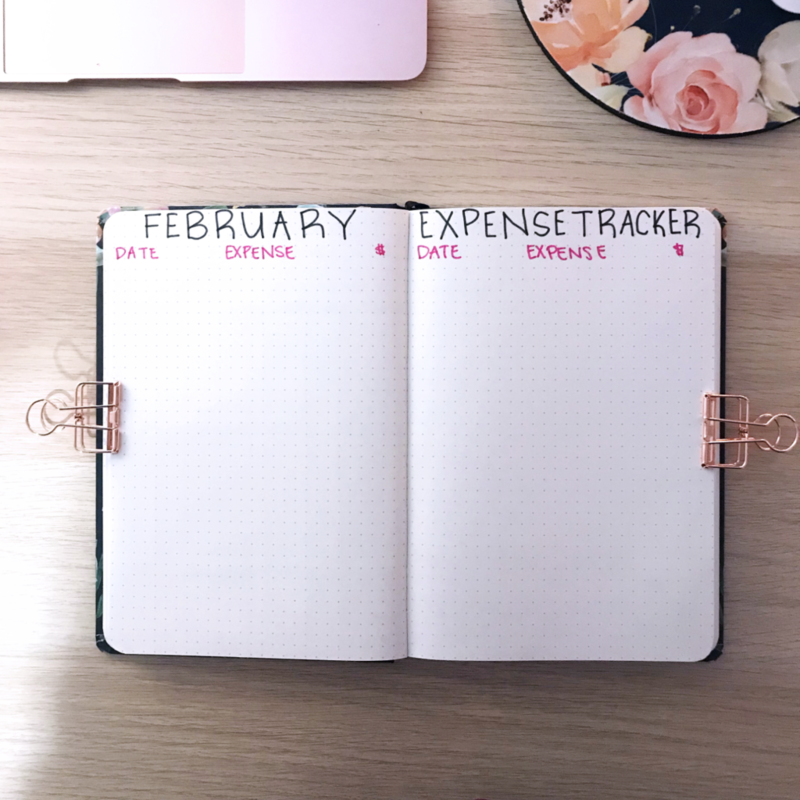 The last spread for February is my budgeting pages. These pages are so integral to my routine, and I get so much value from them! This month I’m switching it up a bit, and budgeting by paycheque, not for the whole month. You’ll notice that I’ve got two similar pages, the only difference is what the paycheque date is, and once I have filled it in the bills will differ. 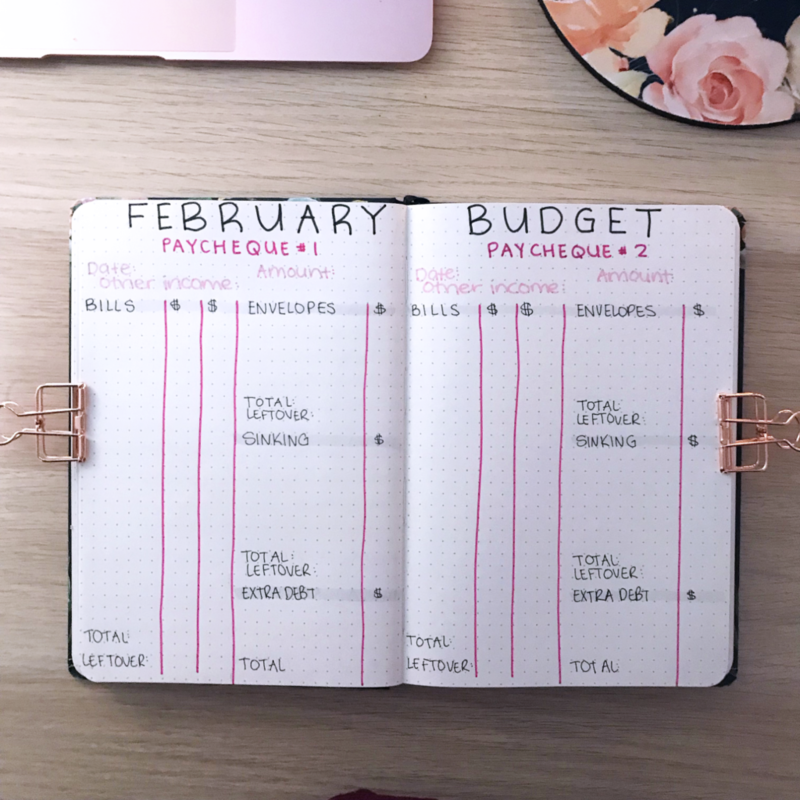 If you’re interested in how I budget in my bullet journal let me know in the comments and I will make a post going into more detail! That’s it for February’s simple setup. 🙂 I used to throw in so many pages just because everyone on Instagram was, but I eventually realized that if the pages aren’t working for me there’s no point hanging on to them! My bullet journal is first and foremost to help me plan and be more productive.